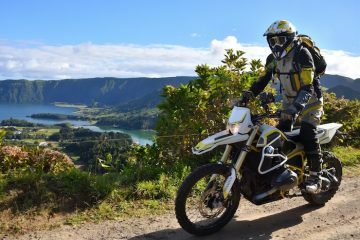 In mid 2017 BMW Motorrad AG (German HQ) officially initiated a global safety recall program, because of a “defect” with the upper stanchions of the R1200GS and R1200GS Adventure models. 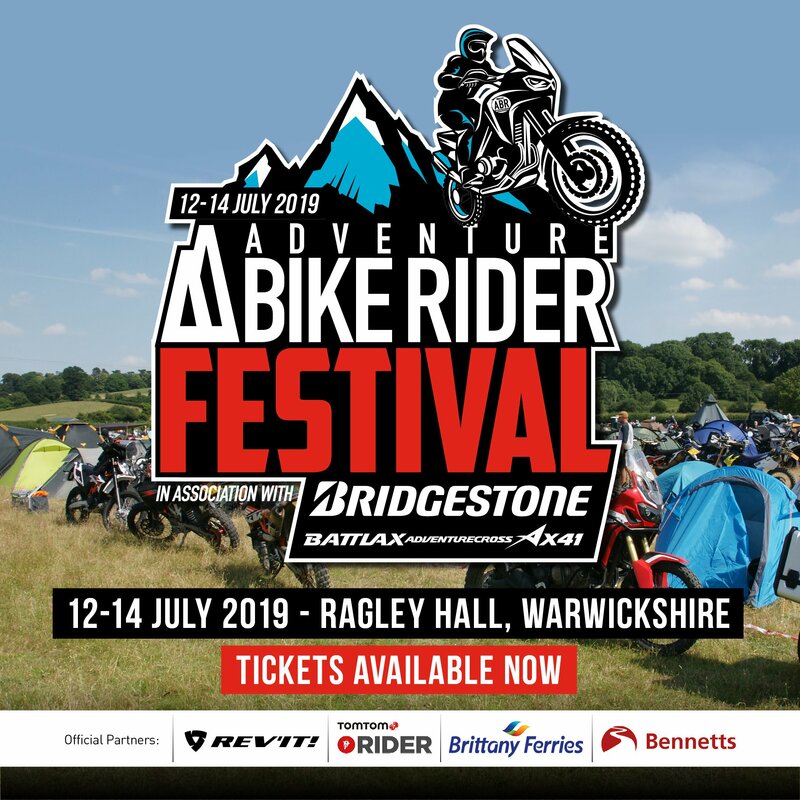 The potentially disastrous defect affects an estimated 200,000 motorcycles built and sold between 2013 and July 2017. 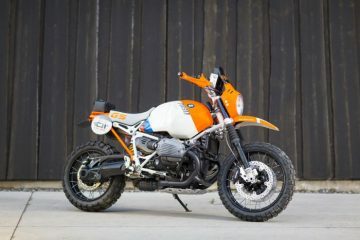 The motorcycle press and the internet has been abuzz for months with talk of ‘catastrophic fork failure’, and the words ‘BMWFatalFlaw’ now have their own #hashtag. Not a great thought to have running through your head as you throw your leg over your beloved GS. 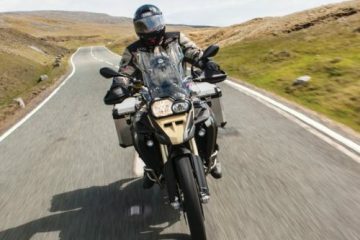 I’ll confess that since hearing of the BMW ‘R1200GS STOP SALE’ order, I’ve wondered if each ride I take on my 1200 might end in disaster. 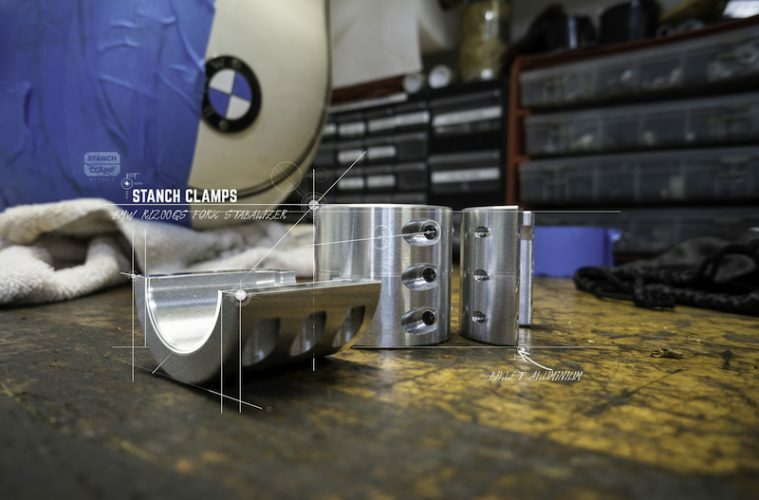 The Stanch Clamp Collar Kit is an upper fork pre-separation reinforcement product, designed and produced by BT Cycle in the USA, to address the upper stanchion (forks) separation and crimping issues in the BMW GS 1200 motorcycles. The Stanch Clamp is a simple solution available immediately, which can be fitted in less than 30 minutes without the need for special tools. Before installing the Stanch Clamp I asked the manufacturers what R&D had been carried out, their response was reassuring. 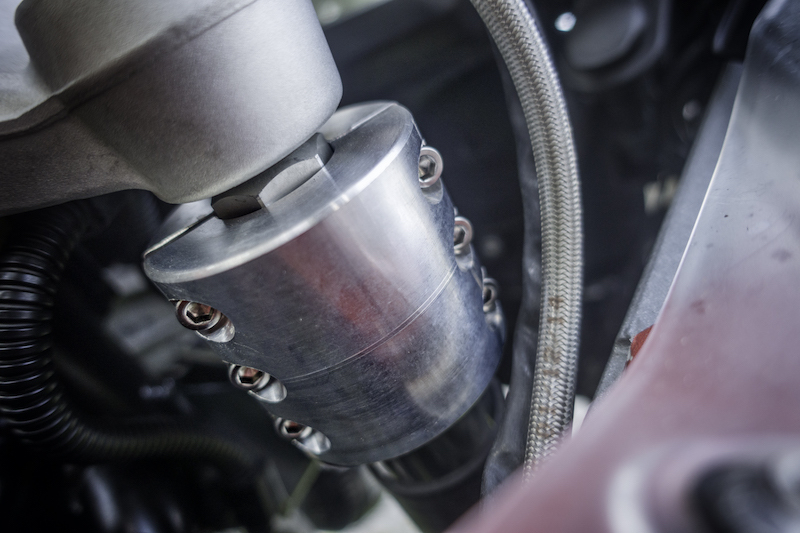 Unlike the BMW press-on fork fix, the Stanch Clamp has been designed to be removable to allow for regular inspection, providing peace of mind and ease of maintenance. The Stanch Clamp is not a repair product. 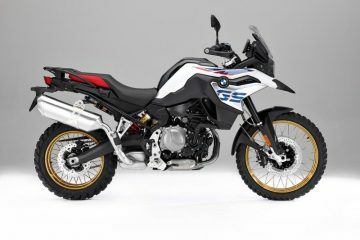 If your R1200GS has upper forks with more than the BMW recommend 2mm of fork separation, it is strongly advised that you contact your dealer, who will replace your fork as part of the BMW recall and service program. Two CNC machined milled clamps. 12 stainless steel SAE 5/32”10-24×1” bolts. A set of clearly written and simple to follow instructions. The clamps are precision milled from aircraft grade, 6061 billet aluminium blocks. The clamps are kept in place using 18-8 stainless steel socket head screws with a 10-24 thread count. The final product is both ultra-lightweight and incredibly strong. Attention to detail and quality sing out from the moment you unwrap the clamps. I was actually excited at the prospect of this installation. With my R1200GSA LC on centre-stand, I laid the bolts on a small tray and applied a spot of blue Loctite to each bolt. I paired up the front and back of each clamp and positioned the clamps at the top of the left upper fork area. With the clamp in position, I inserted a bolt in the top right position and the lower left position to hold the clamp in place. I then inserted the additional bolts and did each one up only pinch tight. I then torqued the bolts to the recommended 4NM, making sure that the gap between the two halves of the clamp was equal on both sides (left and right). I then did the same on the right-hand fork. There are, I’m sure, many riders that will want to install the BMW fork fix as and when it becomes available. However, in the interim, the Stanch Clamp may just save your life whilst you wait for BMW to catch up with demand! If you want to ‘arrive alive’, or simply want some peace of mind, the Stanch Clamp is, for me, a no-brainer. Thirty minutes of wrenching is a small price to pay and makes riding my bike less like a game of Russian roulette. Simon and Lisa Thomas have ridden their way into a life that most of us can only imagine. 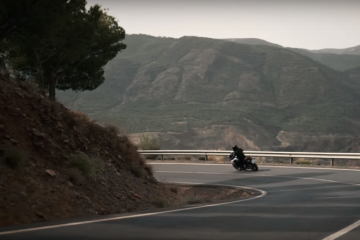 This year is the start of their twelfth year on the road and in those years the duo has amassed an insane 261,000-miles on their ride through 78 countries and six continents. Along the way they've traversed 27 deserts, survived a broken neck in the Amazon Jungle, cheated death and become professional photographers, writers and public speakers. 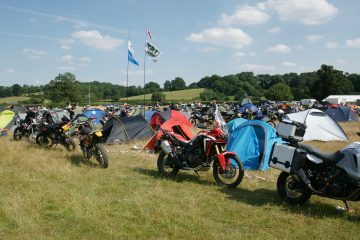 See more at www.2ridetheworld.com.